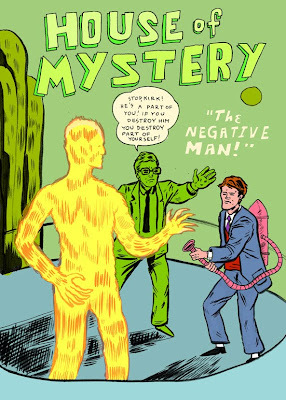 Original cover by Bob Brown; DC 1959. Patrick Kain's website is here. Awesome! Is that you with the hose-thingy? He's definitely got your chin. Love your style! The colors make the cover. Nice touch. I really like this. 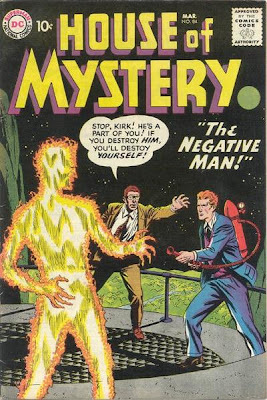 The way the yellow of the Negative man overlays onto the background colors is really beautiful. Weird thing to point out, but... everything is great.